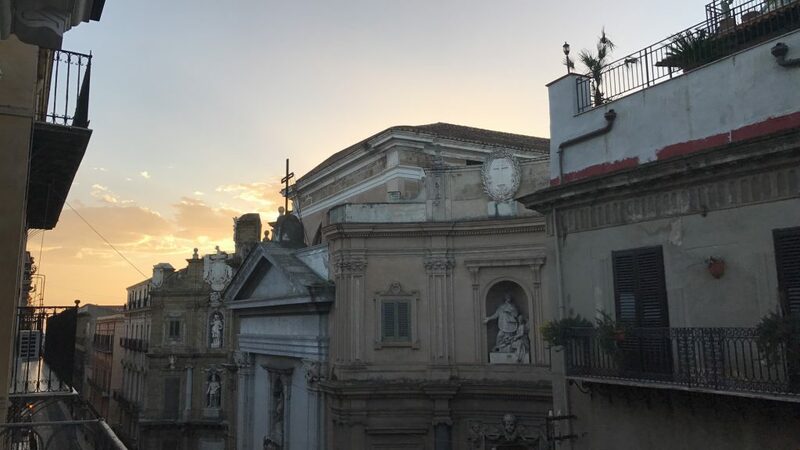 Today was our first day in Palermo and due to jet-lag, I woke up just in time to catch part of the sunrise from the balcony of our hotel room, which by the way was very beautiful inside. Our day started off with a walk to the nearby pharmacy with Professoressa Gavioli and Giovanni. One of our first stops of the day was the Chiesa di San Cataldo, which was one of the nicest churches I had ever seen, mainly because it was simple and yet very intricate in a certain way. 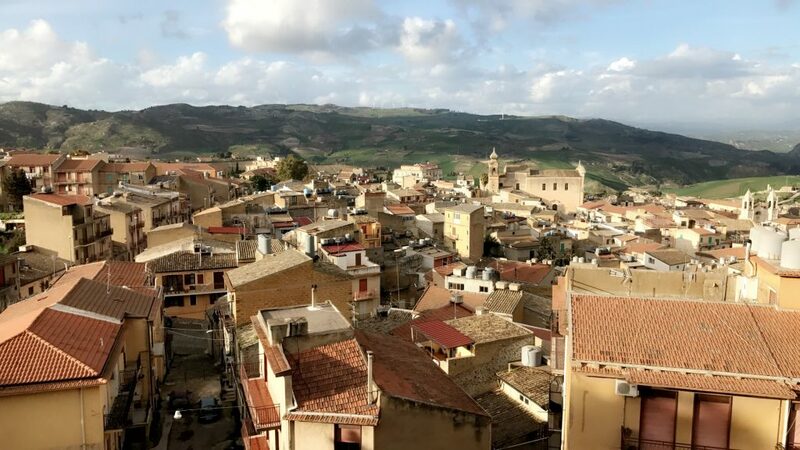 Its Arabic-Norman structure makes it one of Sicily’s well known chiese. 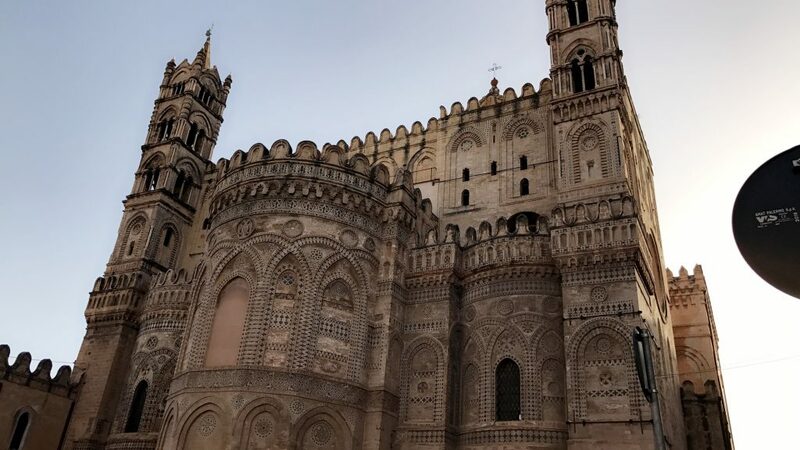 This church is one of Sicily’s many UNESCO World Heritage Sites, that was recently included on the list very recently! Another site to check off of my list of Italy’s UNESCO sites to visit. 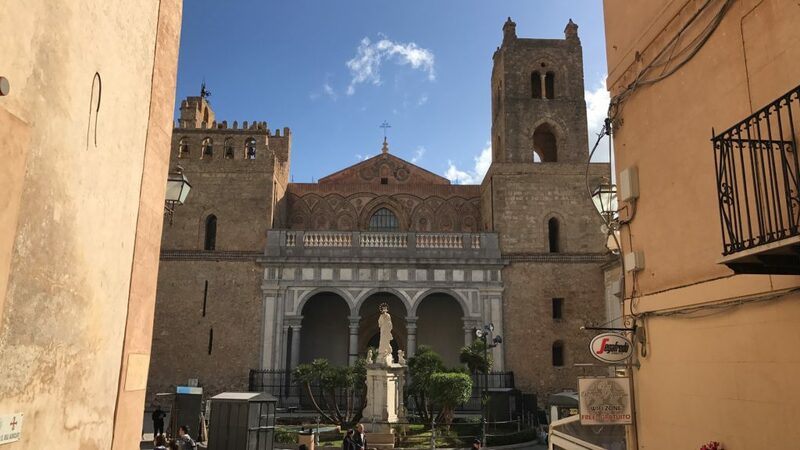 Soon after our trip to San Cataldo and a coffee break at the cafe next to the chiesa, we walked to Santa Maria dello Spasimo, a building that was meant to be a church as can be seen by the high ceiling of what was the altar of the church, but was never finished. 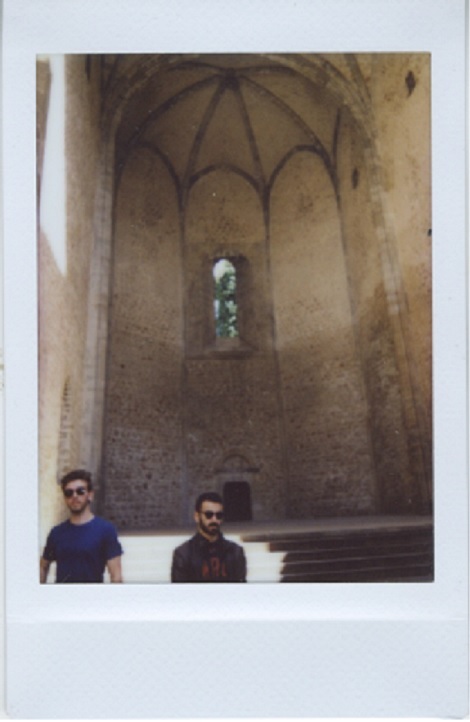 [Not pictured: The missing ceiling of the church] The space is now used as an open-air venue for musical and theatrical events, such as the moment captured on the Polaroid picture above: Promo poster for Dino and Frankie’s collaborative track, predicted to be the summer’s hottest track since ‘Despacito’. 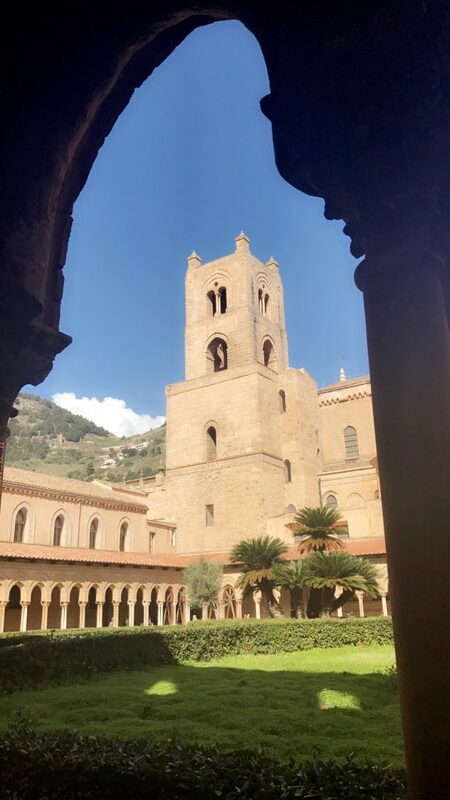 Our second day in Palermo began with a visit to the Palazzo dei Normanni and the Capella Palatina. On our way to the Palazzo, we passed a special set of houses, that were said to be the aftermath of bombings during the Second World War. 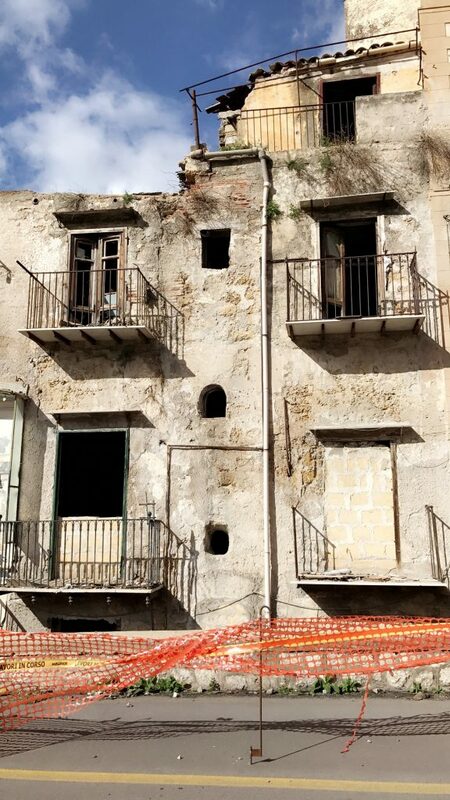 After seeing this sight, I questioned myself, wondering if they remained untouched because of negligence to rebuild or to remind people of what happened in Palermo during WWII. 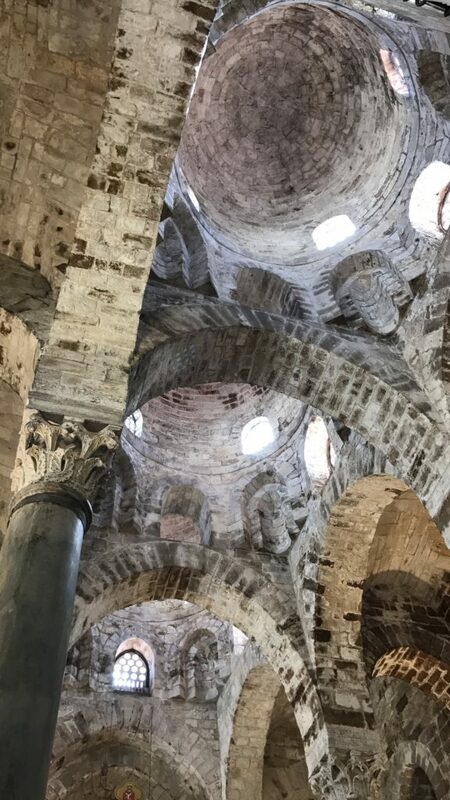 We then proceeded to the Palazzo dei Normanni and the Cappella Palatina, where we saw some beautiful mosaics and shared a bible story from the book of Genesis that was depicted on the chapel ceiling. This site is also, once again, a UNESCO World Heritage site, the list keeps growing! 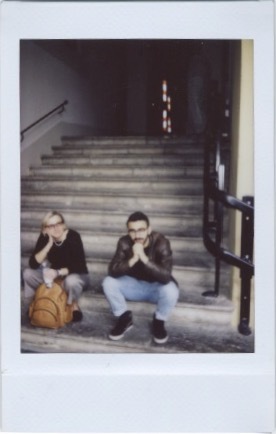 I took videos of the palace and the chapel, but I also caught a cool Polaroid of Professoressa Gavioli and Frankie sitting on the steps of the palace. 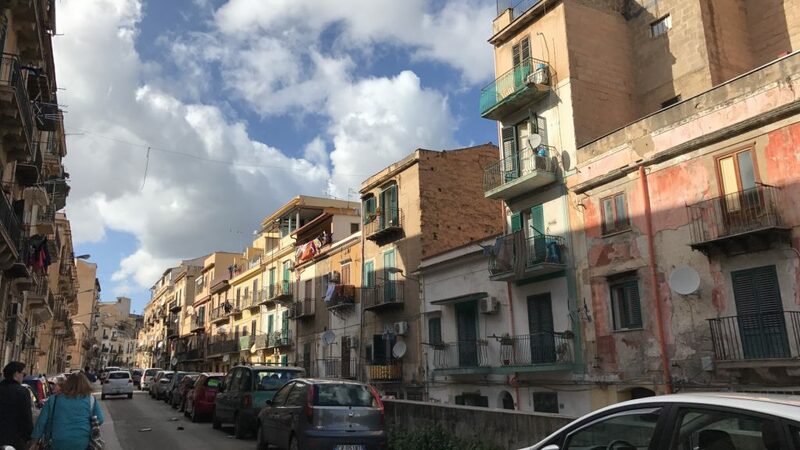 Our next stop was the home of author Giuseppe Tomasi di Lampedusa, which is also currently home to the Duke and Duchess di Lampedusa. We were luckily able to get a tour of the house and see original manuscripts of Il Gattopardo. 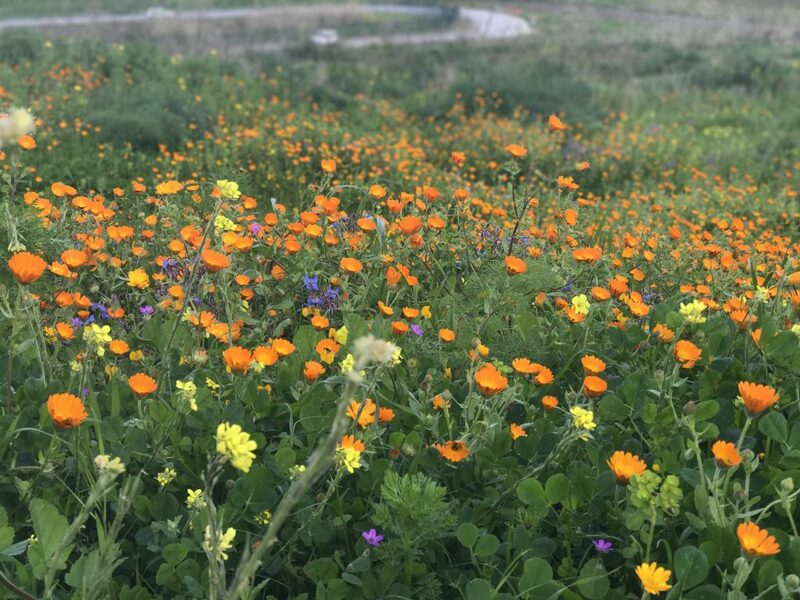 We were surprised by a lovely rain shower as we left Lampedusa’s home. We ended up soaked but happy! I also witnessed one of the best sights my own two little eyes ever saw, as the rain paused and we were getting ready to head back to the hotel, Professoressa Gavioli stopped to tell us about a street that once served as a place for widowed women, excluded from social events during their period of mourning, would watch these events take place while remaining secluded from the public eye. 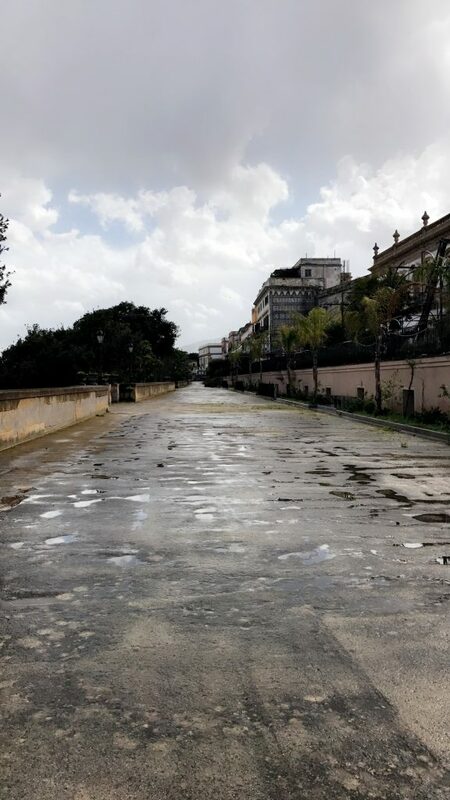 As Prof.ssa Gavioli was telling us about how the gates that led to this street were always closed, she noticed the gates were open. 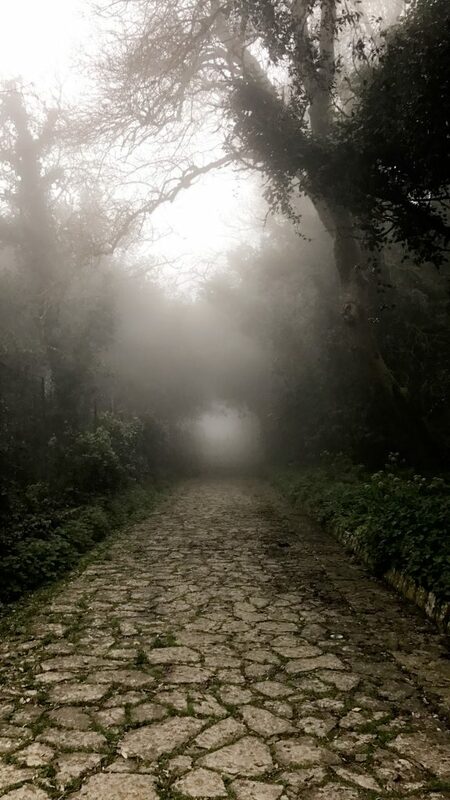 Her face immediately lit up despite being soaked by the unexpected showers, ended her sentence mid sentence and took off towards the Passegiata delle Cattive saying “Follow me!” From this street, we were also able to see the front side of the Albergo Trinacria, where Don Fabrizio passed away in Part VII of Il Gattopardo. Via Vittorio Emanuele was a street full of surprises all throughout the trip. 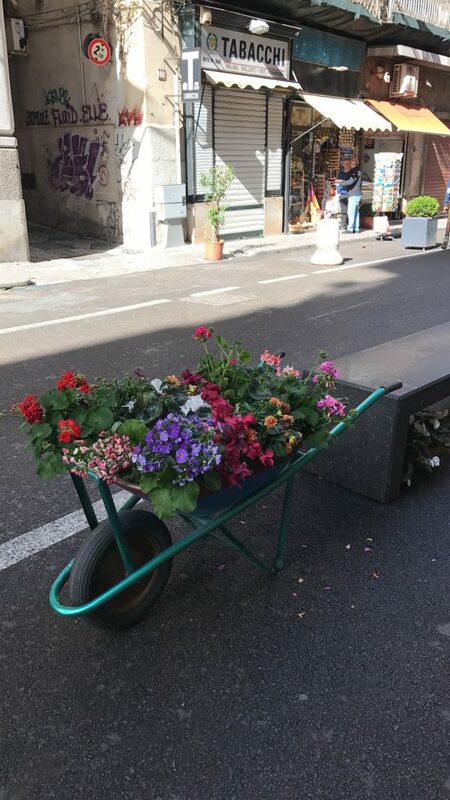 I saw this cool little wheel barrel full of flowers outside of a flower shop! 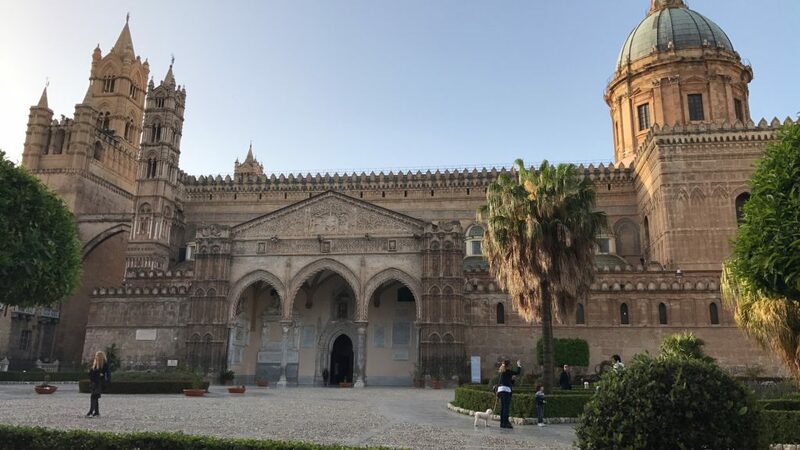 Our final tour was of La Zisa palace, another Arabic-Norman styled structured that remains in tact in Palermo. On our way to the actual palace, we walked through a neighborhood located outside of the city center, which was an interesting change in atmosphere. I didn’t get pictures of the Zisa, because I took videos instead, but it too was another UNESCO site! 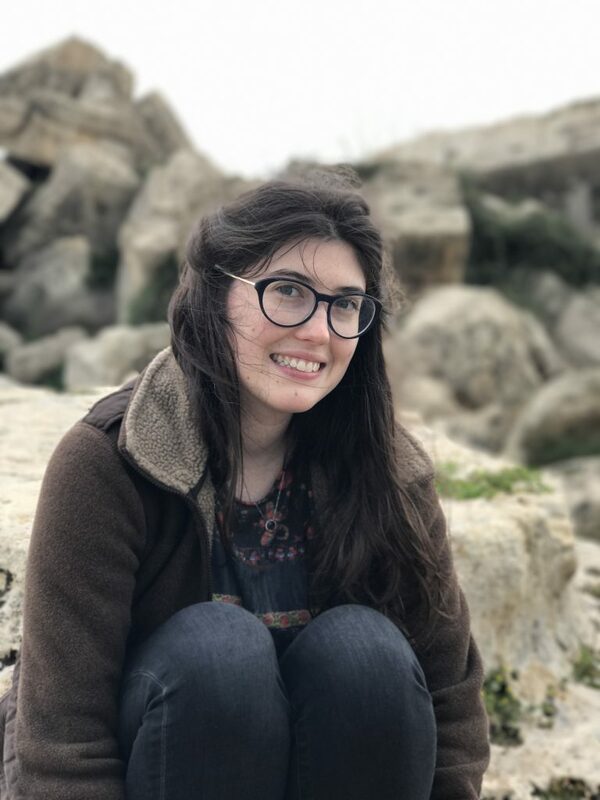 I was sweating nervously at this point in the trip, as I felt the need to see ALL of the sites in Palermo before leaving the city! 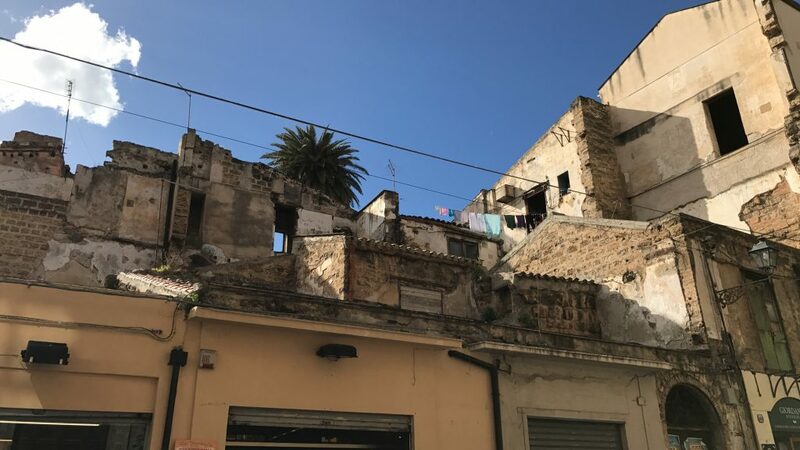 Below is also an interesting image of an abandoned house, I am still unsure if the structure was once again a remnant of the WWII bombings, or if it was just an old palazzo in need of being reconstructed. Today we visited an archaeological museum located in the coastal city of Selinunte. 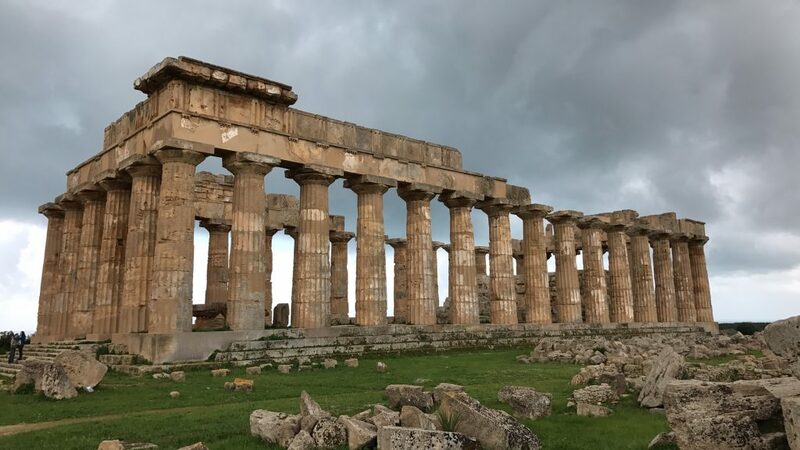 While in Selinunte, we were able to see various temples that were built at around the same time and very close to one another, but each with a different level of reconstruction and destruction. As can be seen in the first image above, Temple E was reconstructed by architects in a way they believed Temple E once stood. Along the way, we passed by a destroyed Temple F and the completely destroyed pile of pillars that belonged to Temple G, that we got the chance to climb into and explore from within. We closed our trip to Selinunte with a visit to a temple off of the coast. 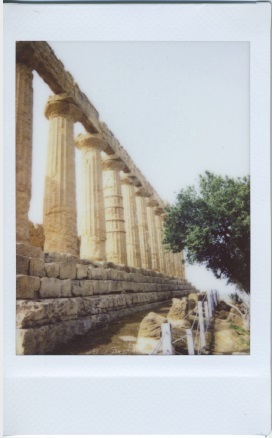 Temple C, along with the acropolis surrounding it. 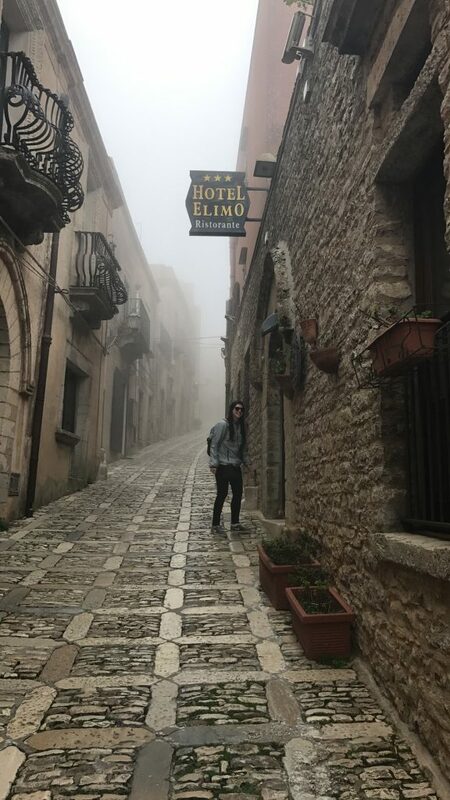 After our visit to Selinunte, we headed to Racalmuto, which is the city in which the famous Italian author Sciasica was born. 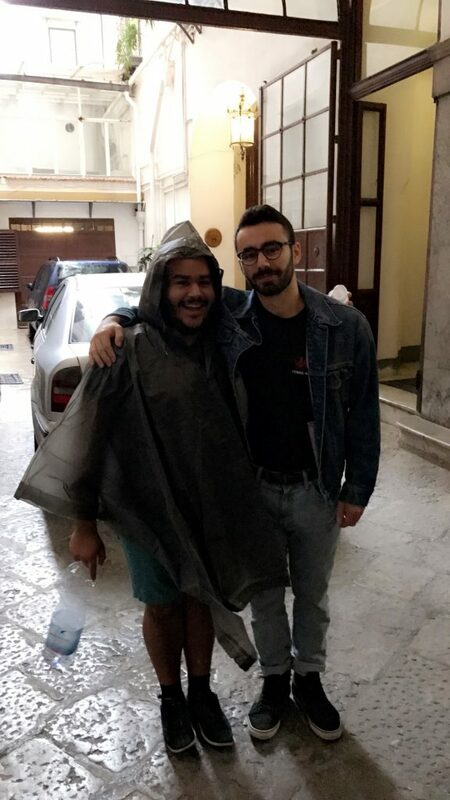 While in Racalmuto, we visited the Sciascia museum, where he stored all of his favorite art pieces given to him or purchased by his friends and favorite artists. At this museum, we also saw copies of his most renowned books in various different languages. That was super cool, as I was able to observe the difference in title selection between Latin American and Spanish copies of the books. After our museum visit, we got an exclusive tour of one of the oldest theaters in the city, most commonly cited in Sciascia’s novels, that was closed for reconstruction. We ended our visit to Racalmuto by visiting the Sciascia statue and taking a group photo. Side note: I am very happy and blessed to have this group of wonderful people around me ♥ I have gotten to know a handful of them very well within the past couple of days, and I am happy to have done so! 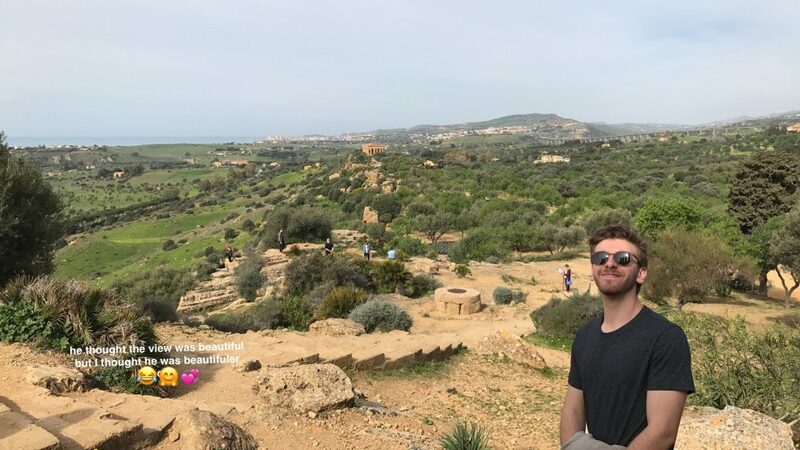 Today we visited the Valle dei Templi in Agrigento, and got our daily fix of ancient temples. Great sights all over as can be seen in the images above, especially in the second image. During this trip, we were able to see a very different and interesting pillar type for these ancient temples, pillars that took the shape of a human holding up the temple’s roof. 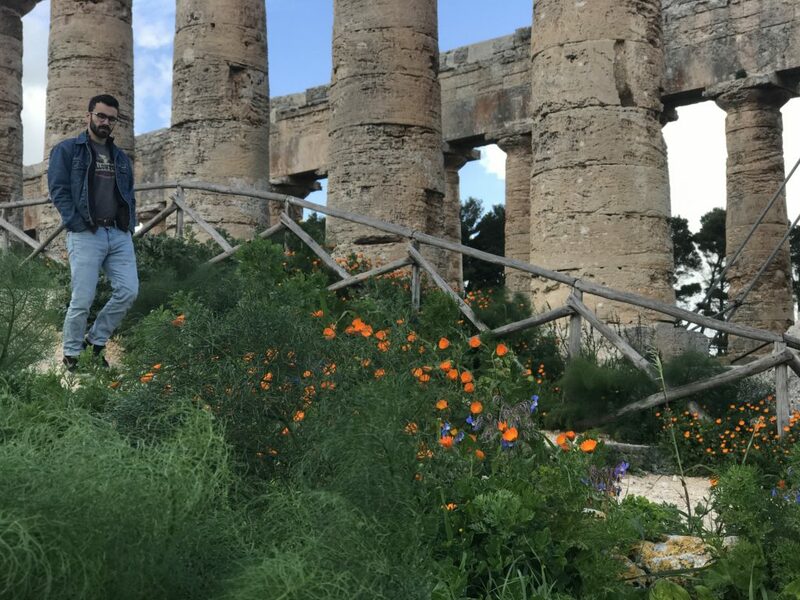 This archaeological site houses a temple dedicated to the goddess Juno, and also forms part of Italy’s UNESCO World Heritage sites (I’m starting to notice a trend here). 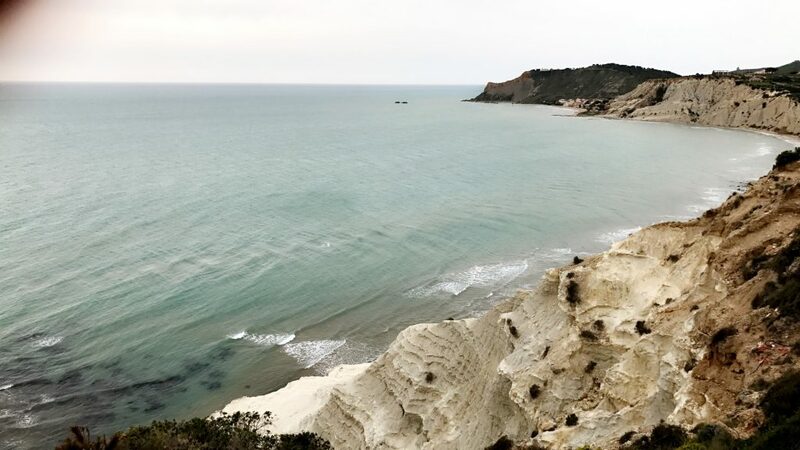 After visiting the archaeological site, we took a trip to the Scala dei Turchi, which is a mountain along the coast believed to be climbed by the Turks during an invasion of Agrigento. It is now a beautiful tourist spot with beautiful blue waters. This sight is one of the many waiting to be added to the UNESCO World Heritage list in Italy, and rightfully so. 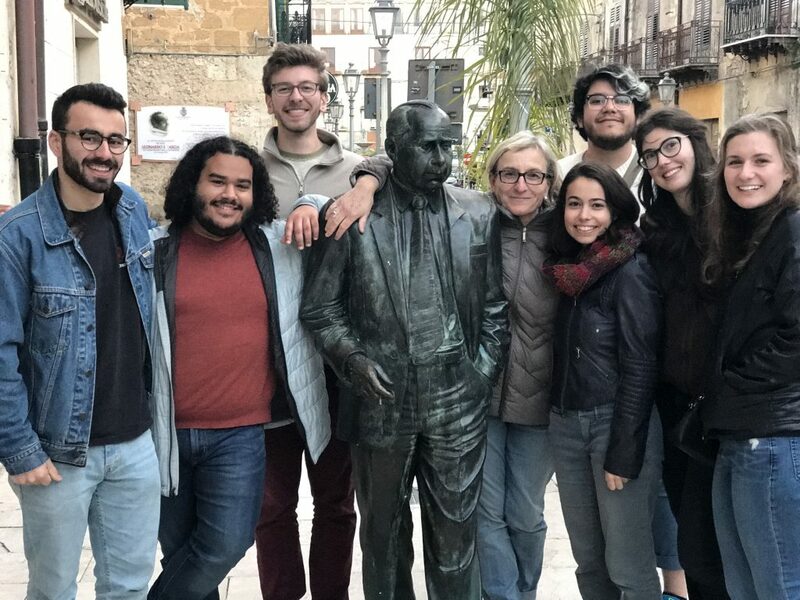 We ended our scheduled events of the day by going to the main piazza in Porto Empedocle, where the author Andrea Camilleri based most of his Commissario Montalbano mystery series. 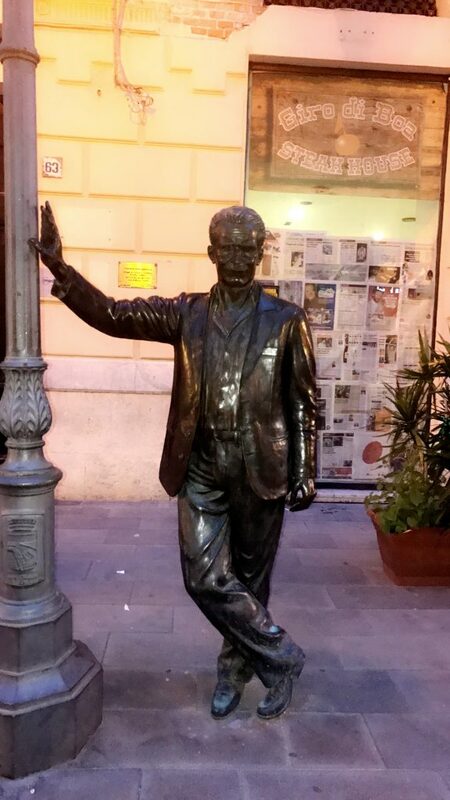 We arrived to the piazza just in time to see the sunset-illuminated statue of what, according to Camilleri, Montalbano looked like and is described to look like in his books. Before convening for a group dinner, we were given free time to relax and unwind from a busy day. 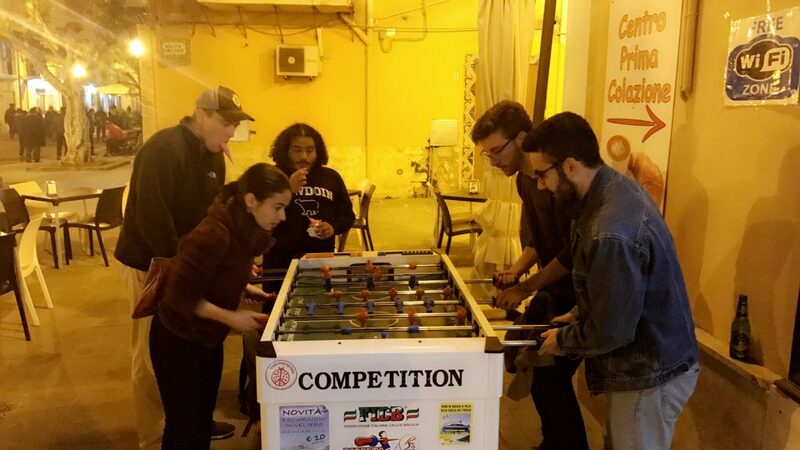 A majority of us decided to kick back at a local gelateria, the group below played a round of table soccerl, I ate gelato and generally had a good time. Not to get all emotional but it was a beautiful moment, that I was allowed to share with some of my favorite people. A wonderful feeling really.